Stoic has returned to Kickstarter to raise the necessary funds for the third and final installment of The Banner Saga. If you were a fan of the first two games in The Banner Saga series, there's some news you'll want to hear today: Stoic Studio has opened up the Kickstarter campaign to help fund The Banner Saga 3. The campaign began this morning, and seeks $200,000 in funding. Stoic said that it is "paying for most of the game ourselves, but the funds we're asking for will enable us to take the time we need and bring the band back together one more time!" 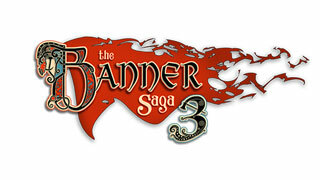 The first Banner Saga game received over $700,000 in Kickstarter funding, and Stoic released the sequel, The Banner Saga 2, without any crowdfunding at all. Now that the company is working on the third game, it says it's going back to where it began. John Watson, co-founder and Technical Director at Stoic said, "We're going full circle and returning to Kickstarter where it all began. In 2012, the backers were instrumental in bringing the saga to life, smashing our initial funding target that led us to increase the scope, fidelity and production values of Banner Saga." Watson also said that Stoic is not taking any outside funding for this installment. You'll have to pledge at least $20 to get a copy of the game, and if you do that, you will also have the option to add an additional $20 to receive the first two games in the series as well. Stoic says that all Kickstarter pledges will be fulfilled by the December 2018 date on the campaign, but that the game has no release date as yet. you can get all the details, and check out all the possible pledges (including a $10,000 option to become the game's Executive Producer) over on the game's Kickstarter page.